You don’t have to read it, but this post has a Part I, which features a demon horse, a headless statue, a mysterious stone, and more. 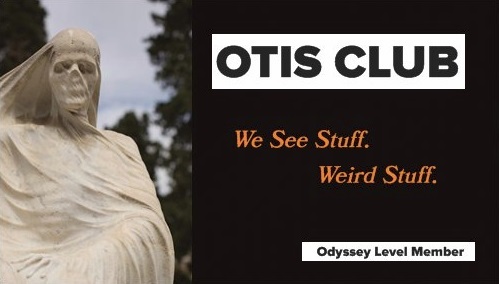 Also an explanation of this whole OTIS Miscellany thing. 6. 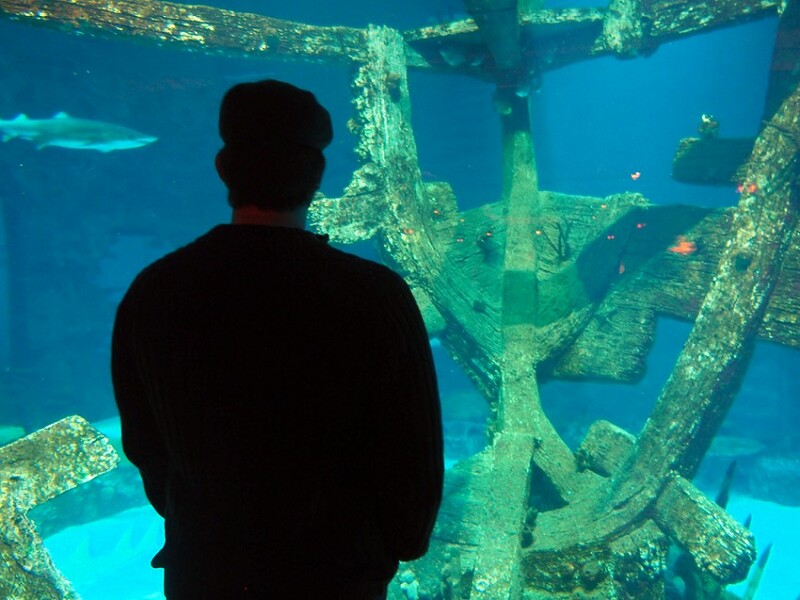 Mandalay Bay Shark Reef – Las Vegas, Nevada: To me, the weirdest part about Las Vegas is that it both encourages you not to explore its city while simultaneously encouraging you to explore its city. Everything in its infrastructure is meant to funnel and trap you on a casino floor, yet they’ve erected theme-park-level wonders all over the strip. 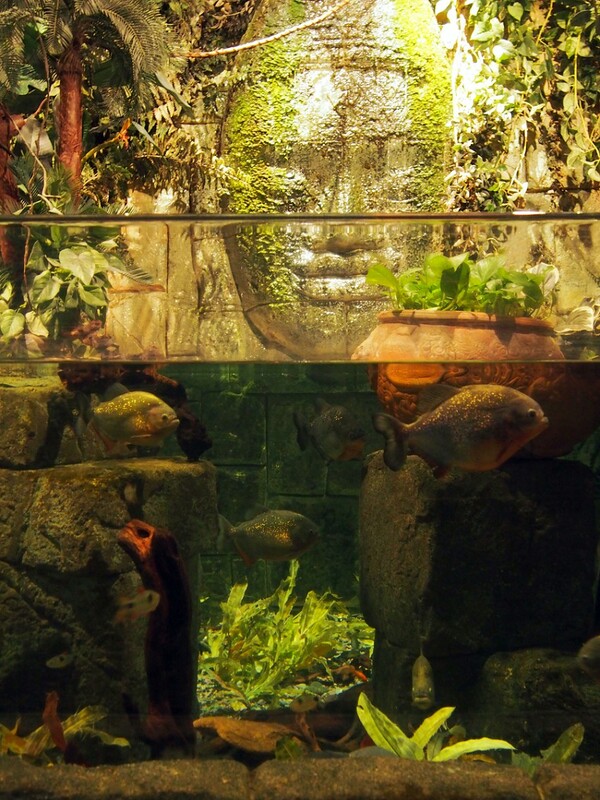 Like the Mandalay Bay Shark Reef, a city-grade aquarium set inside the Mandalay Bay Casino. It’s kind of perfect. You lose some money to the sharks on the floor, get blasted, and then go commiserate with the sharks in the tanks. However, a bigger reason than its shark tunnel propelled me to this place. 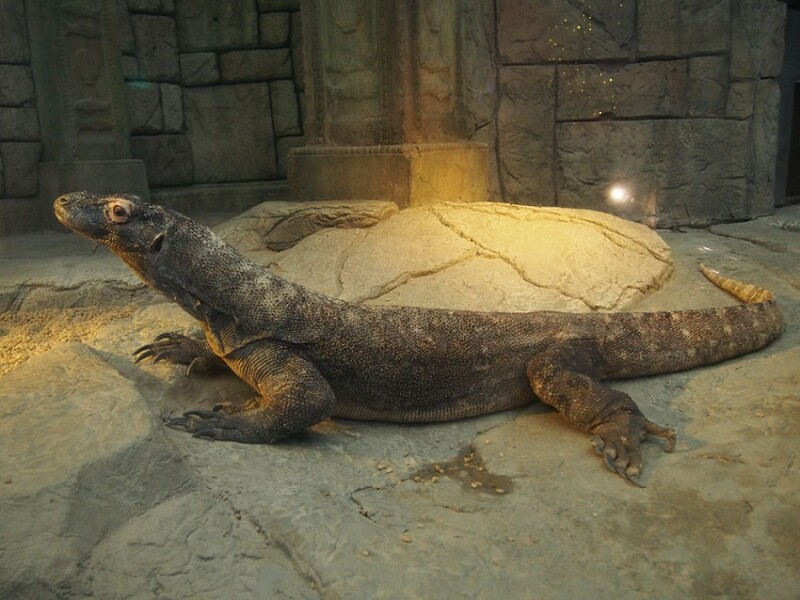 It has a Komodo Dragon, which is just about my favorite animal on the planet, if it’s not entirely so. He looked kind of lonely. I still think about him. Perhaps the most interesting part of our visit to the aquariums was the staff member who stood at permanent guard by the piranha tank. He asked everybody who paused what state they were from, and then would tell you whether it was legal for you to own piranhas or not. Apparently, I can. New Hampshire lives free or dies, you know. Which gives me no excuse. 7. 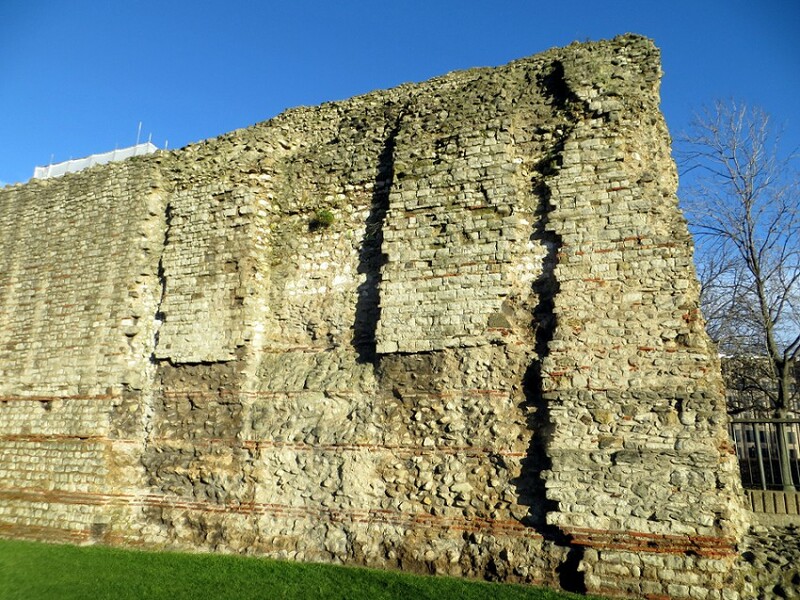 London Wall – London, England: Back 2,000 years ago, when London was Londinium and part of the Roman Empire, it was a walled outpost. Today, somehow, portions of that wall that are ten times more ancient than the U.S. continue their lonely and ineffective defense in incongruous places either as standalone fragments or assimilated into newer construction. I accidentally came across this particular fragment while walking to the Tower of London. Had it ears, eyes, and a mouth, it would have so much to tell us of the past. Too bad we wouldn’t hear any of it because we would be running in terror from such a wall. 8. 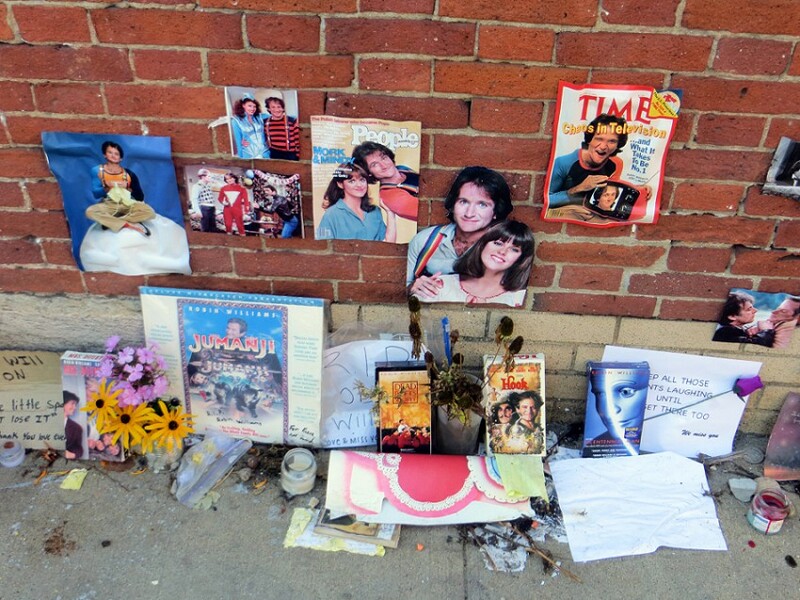 Robin Williams Memorial – Keene, New Hampshire: When Robin Williams died last year, some of the places where he filmed scenes for his movies were turned into impromptu memorials. I happened to see this one in Keene, beneath the fictional shoe company mural still left over from his filming of Jumanji in the mid-90s. 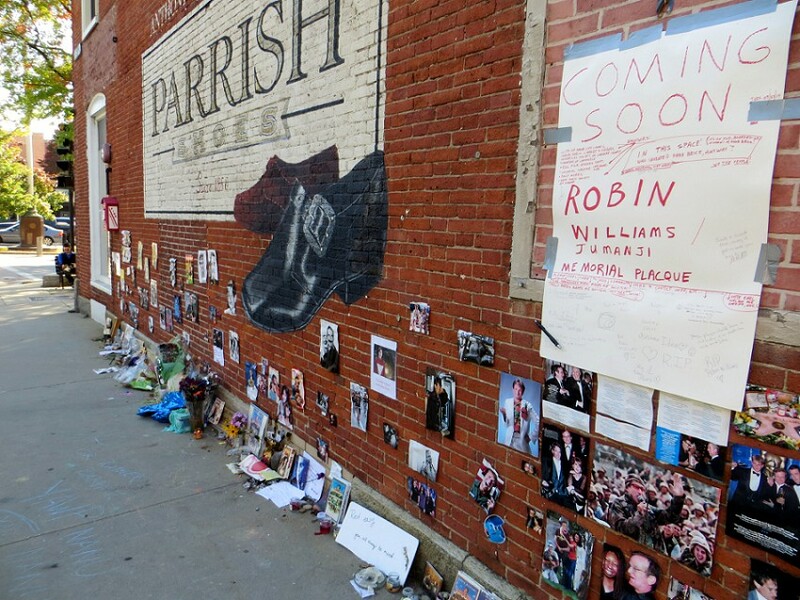 I think what got me the most about this public bit of affection was the variety of images from Williams’ life and work that people worked into this temporary tribute to one of culture’s few unique entertainers. 9. 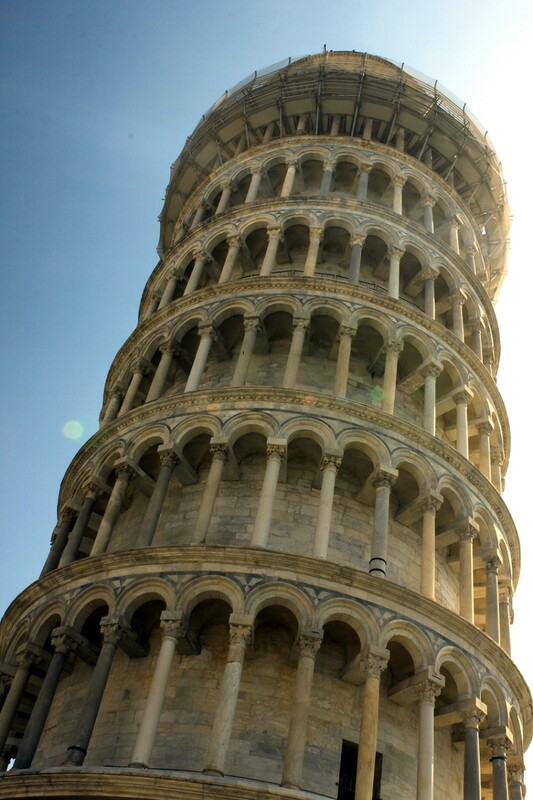 Leaning Tower of Pisa — Pisa, Italy: The Leaning Tower of Pisa is one of those old-school oddities. Like Stonehenge and the Great Wall of China and the Shroud of Turin. Something whose oddity was mainstream long before the Internet shined its fibers into all the obscure corners of the planet. Construction began on this seven-story, freestanding bell tower in 1173, but a flaw in its foundation caused it to tilt slightly, which got slowly worse over time—while still remaining relatively stable—until efforts only this century stabilized it to the point of arresting its ongoing lean. Although they left it cockeyed, of course. They learned from Jennifer Grey’s rhinoplasty. 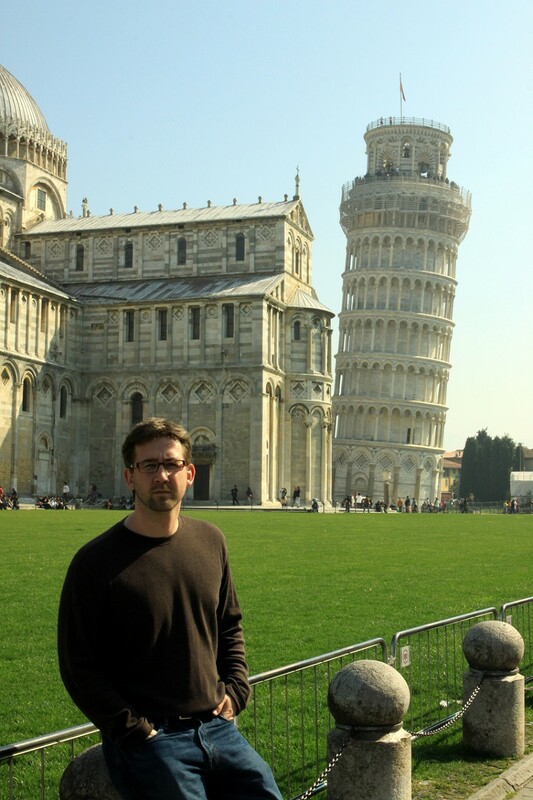 We didn’t purposefully travel to the tower during our jaunt through Italy, but it was on our route. So we stopped, walked around, pretended to push it back into place like when Superman went evil in Superman III, and then headed on down the coast. 10. The Conjuring House – Harrisville, Rhode Island: The only thing better than a haunted house is a haunted house whose story has been turned into a movie. Like this 18th century New England farmhouse. It was made infamous in the 2013 movie, The Conjuring, based on events that supposedly happened there in the 1970s to the Perron family. This was another of Ed and Lorrain Warren cases, making it the usual level of suspect. But I can’t defame the Warrens too much, as their actions have yielded a good chunk of the possessed houses subgenre. 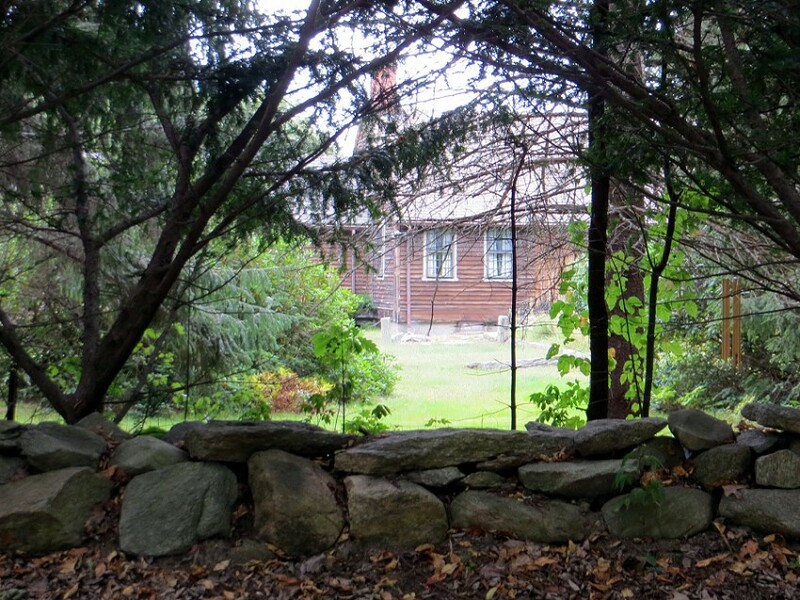 Besides being located at the border between the living and the dead, the Rhode Island house is right on the borders of Massachusetts and Connecticut at 1677 Round Top Road. We took the above picture as part of a slow drive-by because that’s pretty much the only way you can get a photo without violating laws or crossing the line from curious to creepy. The house is secluded out on a rural road and its owners have posted numerous signs warning against trespassing and stopping. Because the only thing that people who live in a haunted house hate more than living in a haunted house is living in a haunted house made infamous by a movie.